The year is 2008 and Samantha Kofer’s career at a huge Wall Street law firm is on the fast track — until the recession hits and she gets downsized, furloughed, escorted out of the building. Samantha, though, is one of the “lucky” associates. She’s offered an opportunity to work at a legal aid clinic for one year without pay, after which there would be a slim chance that she’d get her old job back. 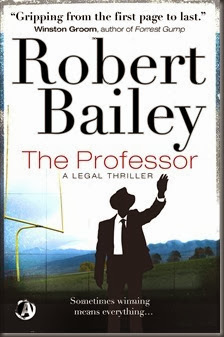 Robert Bailey is the author of THE PROFESSOR, a legal thriller to be published by Exhibit A Books late January 2014. I was born from a family of storytellers and teachers. My mother taught English and reading, and my grandmother, a math teacher, was never without a book to read. My father, though a builder by trade, can still hold a room captive with his stories and jokes, and, as a little boy, I was always on the edge of my chair when he would rasp on about Coach Paul “Bear” Bryant and the legends that played football for the Crimson Tide. As far as writers, John Steinbeck was a major early influence. As a kid, I loved his shorter novels, The Red Pony and The Pearl. As a high school sophomore, we studied The Grapes of Wrath, and Tom Joad remains one of my favorite characters in all of literature. As a southerner and an Alabamian that grew up to be a lawyer, To Kill a Mockingbird holds a special place. I think every lawyer wants to grow up to be Atticus Finch, and the story just had everything. It was thrilling, historical, funny and tragic. Just a remarkable achievement. Later in high school and early college, I became enraptured with John Grisham, and loved Jack Brigance in A Time to Kill and Mitch McDeere in The Firm. I think it was these Grisham stories that really made me want to give writing a shot. Other writers that have been great influences are Greg Iles (I love the Penn Cage series starting with The Quiet Game), Michael Connelly (It doesn’t get much better than the Harry Bosch series), John Sandford, Lee Child, Winston Groom, Stephen King, Dean Koontz and Mark Childress. When I decided I wanted to write The Professor, I picked up Stephen King’s memoir, On Writing, and have probably read it at least three times. Not only is it entertaining, but King’s insights on the writing process are insightful and inspiring. I would recommend it for any aspiring writer. Finally, my time at the University of Alabama School of Law in Tuscaloosa certainly influenced The Professor. In fact, the idea for the story was hatched while day dreaming in class and wondering whether my professors could still try a case after years in the classroom. John Bookman – “Book” to his friends – is a tenured professor at the University of Texas School of Law. He’s thirty-five, handsome and unmarried. He teaches Constitutional Law, reduces senators to blithering fools on political talk shows, and is often mentioned as a future Supreme Court nominee. But Book is also famous for something more unusual. He likes to take on lost causes and win. Consequently, when he arrives at the law school each Monday morning, hundreds of letters await him, letters from desperate Americans around the country seeking his help. Every now and then, one letter captures his attention and Book feels compelled to act. In the first of a thrilling new series from the author of international bestsellers The Colour of Law and Accused, Book investigates a murder in the corrupt world of deepest, darkest Texas. I’m a big fan of Gimenez’s novels. 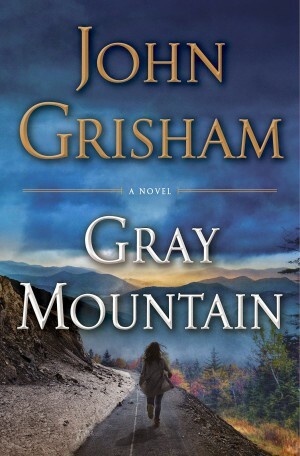 In the early years of his career, he was (too) often compared to John Grisham (another of my favourite authors – and I will admit that’s why I first tried Gimenez’s novels). Personally, I think he carved out an authorial identity all his own far quicker than some other critics. From The Perk onwards, at least, he has been producing some highly addictive, well-crafted thrillers. Con Law, the first in a new series featuring Book, is another excellent example of the author firing on all cylinders. I blitzed through this, and can’t wait for the next book. Set in Texas, Gimenez crams in a lot of political and social commentary into his novels. As with his previous novel, The Governor’s Wife, Con Law is heavy on the political and social commentary. But, far from being a screed or polemic, the author lets all of his characters have their say. Unlike some writers, who caricature those who don’t agree with them for comic relief, Gimenez offers levity through nostalgia and Nadine, Book’s new intern who has some very strange ideas and habits. Also unlike The Governor’s Wife, this new novel feels far more focused – there is no mid-way shift in style or sub-genre. 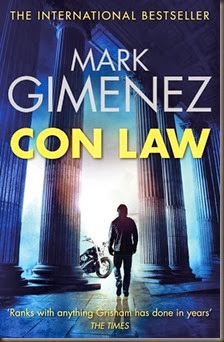 I’ve thoroughly enjoyed all of Gimenez’s novel thus far, but Con Law felt particularly polished and confident. The plot is fast-paced, and there are a number of twists and turns, as Book and his intern get to know the people and local politics of Marja. The social divisions, the tensions, and more all come crashing together, stirred up during their investigation. Not everyone comes out unscathed. I’m not really sure how to talk more about the plot without ruining things, so all you need to know is that this is fast-paced and on-the-edge-of-your-seat gripping. Texas is a fascinating state: its politics, society, and culture are often quite different from other states, even its neighbours. Through the story, the author covers a lot of ground: the state of academia, Texas Republicans and their stranglehold on politics, corporate law in Texas (the easy condemning of land is particularly important, here), the generally conservative temperament and politics of Texans, and how it butts up against transplanted liberals (in Austin, in Marja). Central to Book’s investigation is also fracking, which has become a politically charged issue not only in Texas and the US, but in any country/region with natural gas and oil deposits. Gimenez handles it all very well, and in a deft and fair manner – nobody is made out to be a cartoon, nobody is “right” or “wrong” in their positions, instead we see every side of the arguments, presented as is. It isn’t difficult to ascertain the author’s own mind, of course, but he is not preaching. Given Book’s profession, we also get a couple of scenes set in the classroom, discussing hot-button Supreme Court decisions (Roe v. Wade and Obamacare, of course), and I’m pleased to say, despite devouring a considerable amount of news coverage on those decisions, Gimenez still presented a couple of arguments and interesting tidbits that surprised me. Very pleasant surprise, too. The characters are well-rounded and quite fun to read about. The working relationship between Book and Nadine is often amusing – despite being relatively young, he finds some of Nadine’s habits confounding. Sometimes she comes across just a little cartoonish, and her lack of certain general knowledge didn’t ring quite true. Nevertheless, it’s easy to forgive this minor niggle, as Gimenez’s writing and plot just pull you along. Academia, politics, jobs, fracking, social disruption, communities… Con Law touches upon pretty much everything. As a politics and thriller junkie, it felt almost tailor-made for my tastes, and exceeded my high expectations. On the surface, it’s a great story of small-town Texas life and justice. But it also has depth, is intelligent and is expertly crafted. One of his best, I’m glad this is going to be a series. I can’t wait for the next book. Highly recommended for all fans of thrillers.